This little fella came ashore today and are pretty common in this neck of the woods. 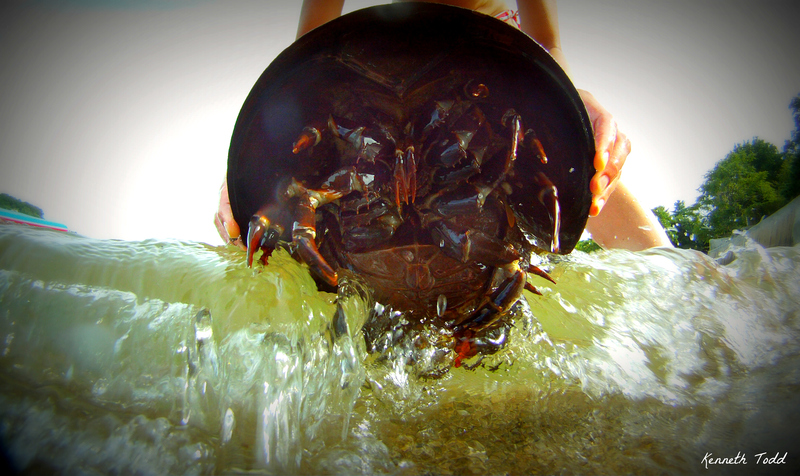 Horseshoe crabs are prehistoric too. I added a picture below too of him swimming away. awesome!!! haven’t seen a horseshoe crab since my boyhood summers at the jersey shore! What an amazing angle! Great positioning! Amazing but so scary looking to me. Great pictures. Thanks Betty. Sorry for delay in responding I took a week or so off. Thanks again for stopping by and comments. Cheers.